Printed on flat lightweight plastic. Reusable and Repositionable. 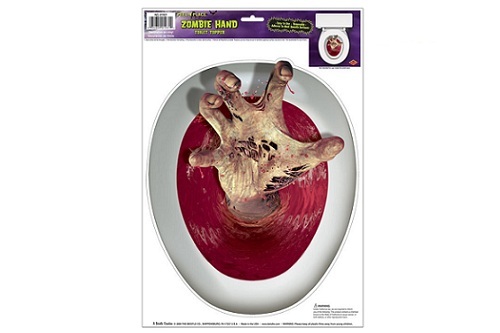 The Zombie Hand Peel ‘N Place Toilet Topper makes it look like there’s an undead hand reaching out from the bloody toilet. Measures 12" wide x 17" high. Easy Installation - Remove and Reuse.